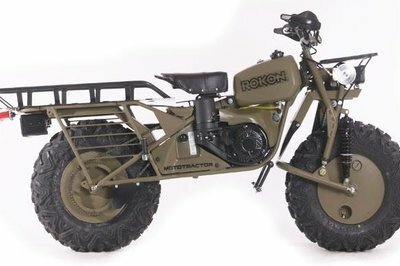 Rokon, maker of some of the most unique, utilitarian motorcycles in the world , adds to its lineup this year with the Mototractor model. This newest contraption — and I mean that in the best possible way — focuses specifically on capabilities useful in an agricultural environment. 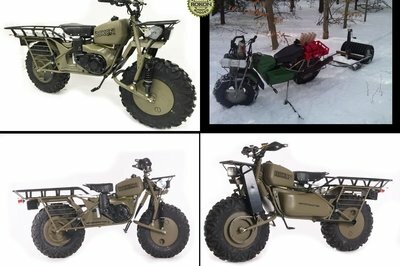 Granted, you could transform a Trail-Breaker with loads of an accessories catalog, but the factory saves you the trouble. Mighty thoughtful, don’t you think? The Mototractor mill only puts out around 7-horsepower, but don’t let that fool you; it punches far above its weight and brings capabilities that go far beyond what you would normally expect, or even think to ask from a bike. I previously named a Rokon product as one of my favorites if I had to survive a zombie apocalypse, and digging into this model I am reminded of exactly why. 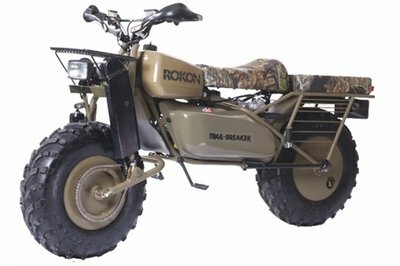 Continue reading for my review of the Rokon Mototractor. Utility. If I had to pick one word to describe the looks of the Mototractor, that’d be it. I mean, this thing makes zero concessions to aesthetics, unless your a form-follows-function kind of rider or just like machines that look like they could have been designed by a Korean war-era Army engineer. A small cargo rack leads the way over the shelf that mounts the headlight and the drive motor for the front wheel. The front end is relatively clean beyond that with nothing in the way of mirrors or turn signals and just the front- and rear-brake master cylinder sticking up from the handlebars. A 2.69-gallon fuel tank gives the Tractor approximately 8-hours of operation per fill-up, depending on rpm, workload, elevation and such like that. A solo saddle brings a bit of old-school charm to the look, but the 24- by 33-inch cargo rack dominates the rear of the machine, so you can forget about a pillion seat, at least on the stock Tractor. It does come with fold-up passenger pegs, so a very motivated person could conceivably catch a ride, but I doubt you’ll still be friends when it’s all said and done. Both brake levers are mounted on the handlebars. 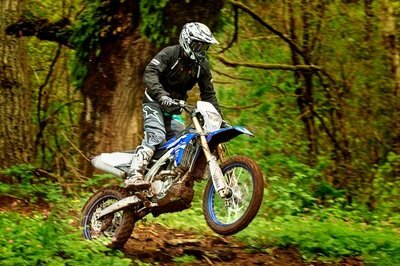 This is necessary because the rider footpegs are of the flip-up variety for rough terrain work, thus rendering them incapable of mounting any sort of foot controls. A taillight and tagholder finish out the rear end, but I have to wonder at the placement. It seems like the light housing could be in a vulnerable position if something heavy were to jostle off the back of the cargo deck while under way. That said, the rest of the Mototractor looks tough as balls, and probably is. Tubular-steel members make up the frame, front forks and brushguards. The front suspension consists of a coil-over shock with a leading-link arrangement that ends with a terrain-defeating loop in the back to help the bike schoon over felled tree trunks and other obstructions. A double-downtube/double-cradle frame carries its structural members aft where they meet up at the rear axle. Yep, that’s right, this is a rigid frame with no rear suspension beyond what the voluminous, Maxxis Big Horn Radial rear tire provides. Speaking of volume, the drum-type hubs can carry up to 2.5 gallons of liquid. 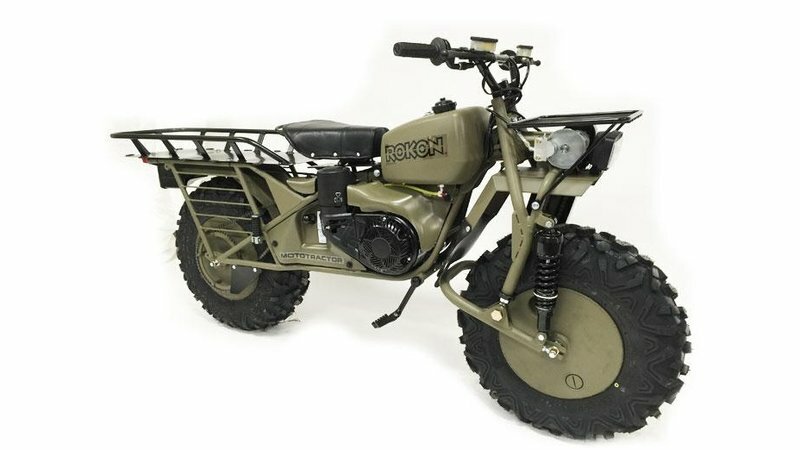 On the other Rokon products, I’d normally consider it a fuel reservoir, but given that this model is built for farm work, I’d fill mine with water for the increased traction that extra weight would generate. Brush guards protect the rear wheel and provide a mounting place for the accessory saddlebags. On the topic of accessories; Rokon offers farm-friendly attachments such as a lawn-mower, agri-sprayer, disc harrow, 10-inch moldboard plow and broadcast spreader to go with its three-point hitch, power take-off and generator. Oh, there’s more of course, but those are the more farm-tastic of the available implements. Power comes from the 208 cc Kohler engine that produces a max of 7-horsepower and 9.1 pound-feet of torque. An automatic torque converter couples engine power to the hydrostatic drive that sends power to both wheels. Sounds weak you say? Maybe, but it can tow a short ton with those seven ponies, a claim most bikes can’t make. The hydraulic motor up front sends power down the chain drive to turn the front wheel at the same speed as the rear for all-the-time, all-wheel drive. A gear-range selector determines the top speed, but not in the usual way. First gear gets you from zero up to 10 mph, while second gear runs from zero to 20 and third (going-to-town gear) will run from zero to 35 mph. This is pretty much a lawnmower engine, and it runs a dry air-cleaner element with a reliable magneto ignition and good old carburetor to manage the induction. 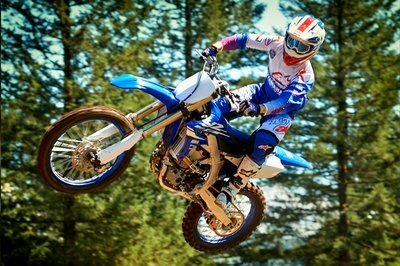 It comes with an electric starter, but also has a recoil starter with a compression release for an easy-to-use backup. Built for use in rural areas, the Mototractor runs with a U.S. Forestry approved spark arrestor, so you can rest assured that your ride won’t make Smokey the Bear cry. I’m always a little surprised when I get to the prices on the Rokon. You might think that the horsepower falls into the mini-bike range, but this is a full-size machine that can do some serious work to include climbing up to a 60-percent grade, or running a tree skidder. So, adjust your way of thinking, and behold the $8,195 price tag. Still shocked? I’d point out that if you feel like you need a machine with this blend of capabilities, nothing else in the world will do. Feel better? I know I do. While there are bikes out there with varying degrees of all-wheel-drive-ness and terrain-defeating capability, nothing else does what the Rokon can as far as dragging cultivation tools around the field and even floating across calm bodies of water. So far it really seems to be a unique brand under the sun. I would offer up another selling point instead; all the fasteners around the machine can be replaced at any mom-and-pop hardware store in the U.S., and any small-engine repair shop is likely to have engine parts in stock. Not only that, each bike comes with a service manual that will walk you through nearly anything you could reasonably expect to repair yourself. That’s right, the factory wants you to be able to work on it yourself. How refreshing is that? 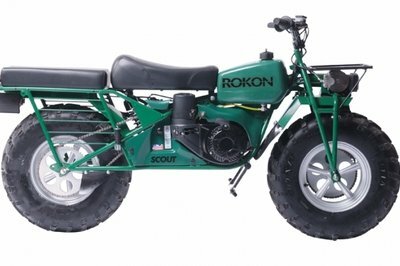 My wife and fellow motorcycle writer, Allyn Hinton, says, "Man, I love these Rokon motorcycles. They look mean, and seriously, they can climb any terrain you’ve got. 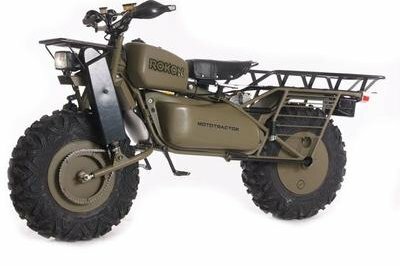 I know in the past, we’ve used military-styled 2WD off-road bikes as a competitor, but honestly, nothing can do what a Rokon can do. Maybe an ATV, but they’ll roll on a steep grade. How many motorcycles will float so you can swim across deep water with them? See? That’s what I mean."